LAGUNA BEACH LUXURY HOME WITH PANORAMIC OCEAN VIEWS! 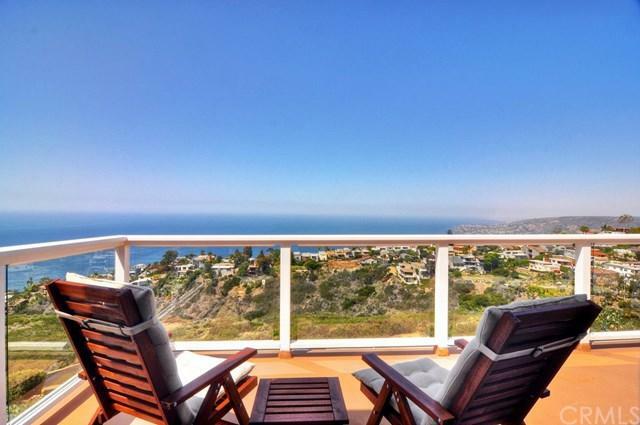 Enjoy the brilliant sunsets and stunning ocean views from every level in this 4 BDR, 4.5 BA two-story home, above the sandy shores of Laguna. 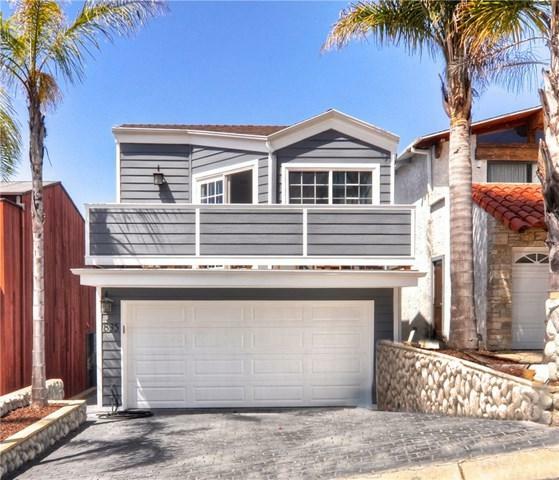 This turnkey home offers 2750 SF and is completely furnished. There is lots of light and bright living space with all new furniture and plenty of room for your entertaining needs. The kitchen is newly remodeled, and the living area is accented by wood beam cathedral ceilings and hardwood floors. Cozy up with two fireplaces either in the master bedroom or the family room. Boasting a remodeled ground level guest quarters with new flooring, kitchen, entertainment area, and private bath. 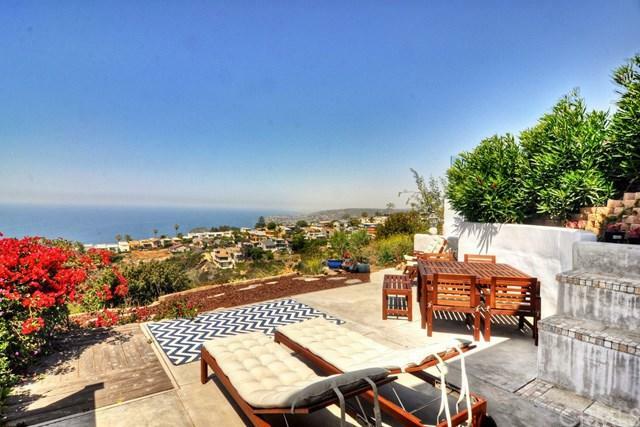 This home is a beach lover+GGs paradise, and Laguna Beach offers the best in eclectic restaurants, boutiques, and art galleries. When you+GGre not on the beach or nearby trails, there is always something to do in downtown Laguna Beach. Summer is host to the famous Pageant of the Masters and Sawdust festival!